“…Manipulate the truth long enough and eventually you're selling something that doesn't exist." 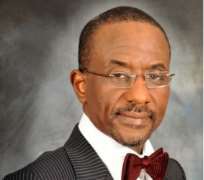 EXECUTIVE SUMMARY :The long-awaited intervention in our financial services sector, starting with the banking industry was unleashed on August 14, 2009 guided by a deliberate 'shock and awe' objective by the Sanusi Lamido led CBN. practice and culture was designed to be consigned to history. of financial intermediation was restored. loans, and capital be disclosed for those banks 'cleared' as well. china, but just how much damage will be left behind. of the exercise, and clarity of the end game. We believe this is where undue advantage is created in the market place – i.e. competitive advantage is 'unknowingly' granted to those closer to regulators. This is an incentive that lies at the heart of the problem we face. we always come back to. Thus, the trigger for results lies in the belief that guides action/conduct. simply recalibrated the actions taken then and moved it to another level. punitive in response to dissent and intolerant to ethical challenges to decisions. would not be where we are today! accept the professional responsibility for the collapse of the system. The CBN is yet to discuss this root cause in any detail. We cannot embark on a journey - driving with a rear view mirror. built more on perception than reality. bold to say, does not need an 'ambush' based mindset to reform. go on will reveal as much. subsequent actions taken by the Sanusi Lamido led CBN). international support built over the years. houses, analyst firms and national institutions. taken with motives devoid of grandstanding. Managing the Bull in the China Shop…..
financial systems, is a generational challenge. so what makes this one a must-do task? not been told about how bad the case of the bank really is. uppermost. If action was not taken, the whole system would get worse. guaranteeing the customer deposits/funds in the banks?